The automotive sector has grown significantly over the past few years, but 2015 marks a record breaking year. Sales figures have reached an ultimate high with last month’s numbers totalling up to 734,588 new registrations that were recorded, which is the largest figure since the switch to the six-monthly plate changes in 1999. Recent statistics released by the Society of Motor Manufacturers and Traders (SMMT), show that the arrival of the “15” number plate has helped push new car sales in the UK which has created the new record for the fourth consecutive year. The sales figure of 734,588 has increased by 6.8% this year with the results from last year adding up to 492,774 in March 2014. These statistics tell us that new car market has been continuously growing for the past 37 months in a row, which is no surprise given the new fuel-efficient and technologically advanced cars available to purchase today. Mike Hawes, The SMMT chief executive, said: “The best month this century for new car registrations is a welcome boost for the UK’s thriving automotive sector. The challenge for a new government and industry will be to maintain this momentum and to strengthen Britain’s manufacturing capabilities through continued investment, innovation and policies which maintain our global competitiveness”. 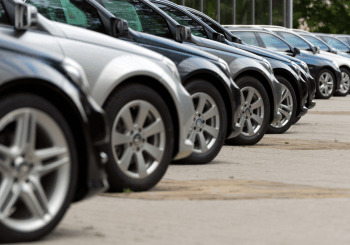 It’s fair to say that a mixture of the strengthening economy combined with great car deals on offer available from dealerships is the main factor helping to generate the increase in new car sales. A list which was released with the top selling cars this year revealed that the Nissan Qashqai came 4th with 12,210 new models being sold in March 2015 across the UK.